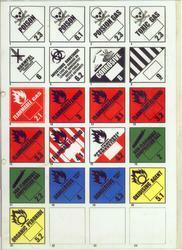 Our range of security stickers includes IMDG class stickers. 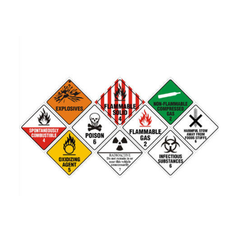 We are one of the well-known manufacturer, exporter, and supplier of Warning Stickers. We are a trusted organization successfully engaged as a manufacturer, supplier, and exporter of IMDG Class Stickers. These are produced in strict adherence to international quality standards employing cutting edge technology and using the suitable raw material. We offer them in standardized as well as in dimensions and grades specified by the clients at the economical price range.